A consideration of some of the most common questions about animal minds.Do birds have feelings? Can fish feel pain? Could a honeybee be anxious? For centuries, the question of whether or not animals are conscious like humans has prompted debates among philosophers and scientists. While most people gladly accept that complex mammals - such as dogs - share emotions and experiences with us, the matter of simpler creatures is much less clear. Meanwhile, the advent of the digital age and artificial intelligence has created an added dimension to questions about non-human consciousness. 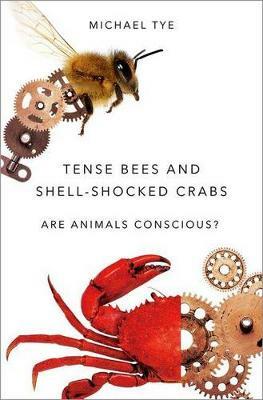 In Tense Bees and Shell-Shocked Crabs, Michael Tye offers answers to some of today's most pressing questions about nonhuman consciousness. Blending the latest research about animal sensation with theories about the nature of consciousness, Tye develops a methodology for addressing the mysteries of the animal mind. Without endorsing any specific theory on the nature of consciousness, Tye tackles issues such as the animal experience of pain and fear, and the role of brain anatomy in determining consciousness. He then turns his attention to the artificial realm, considering whether complex robots could ever be considered conscious. Tye concludes with a discussion of how, if we consider animals conscious, this might impact our ethical obligations to them. From insects to crabs, fish to birds, Tense Bees and Shell-Shocked Crabs offers an insightful exploration of the ways in which animals relate to the world. Tense Bees and Shell-Shocked Crabs will appeal to students and scholars of philosophy and neuroscience, as well as general readers with an interest in animal and environmental ethics.